The X-Factor judges have a newborn child! 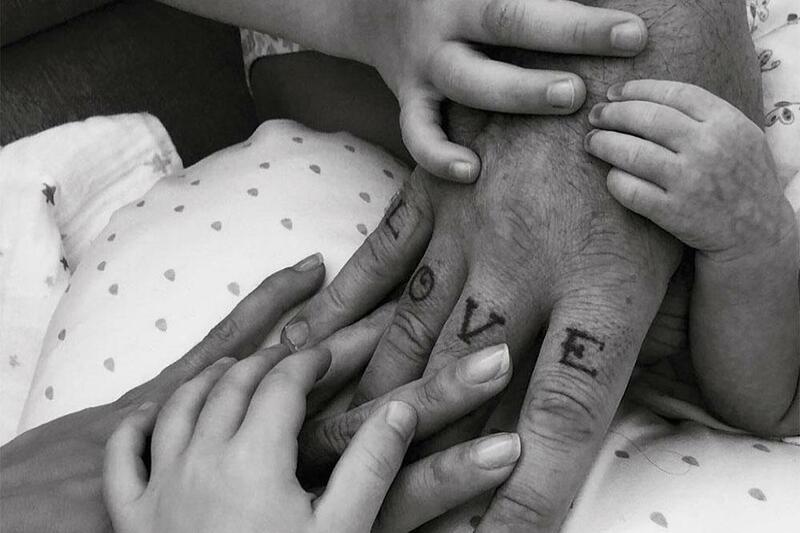 Field, who is a judge on The X Factor alongside her husband, posted a photo of the family's hands on Instagram. She expressed: "We are delighted to share with you that we have had a baby girl... welcome to the world Colette (Coco) Josephine Williams!! The US actress also thanked their "incredible surrogate mother" and said she feels "so blessed that we live in a world which makes this possible". Williams and Field are already parents to Teddy, six and Charlton, four. Field ended her Instagram post by saying: "As with Teddy and Charlie, we ask that you respect Coco's privacy and allow us to grow into our new team of 5! #TeamWilliams"
In 2014, when Charlton was conceived, the former Take That singer documented every stage of Ayda's labor by posting videos and pictures of the birth on Twitter. His commentary included him singing Let It Go from Disney's Frozen and dancing next to his wife as she lay in the hospital bed. The couple haven't given any further details about why they used a surrogate for their third child. Meanwhile, Williams has also spoken about the fact he will miss some of The X Factor's live shows because some episodes clash with his tour. "I'm gutted that I've got to go. Genuinely, genuinely gutted," he said, adding that the tour was booked before he signed up for The X Factor. "I'm going to go off and do a few gigs in South America," he told ITV's Lorraine. "I'm looking forward to going down there... But if I'd have known [about X Factor] it wouldn't be happening... I'm going to miss the show." AWWW!!!! Robi You are DUDE! After all you went horrible and bad you came to the real thing - the meaning of the life! Congrats to you Robi and Ayda!